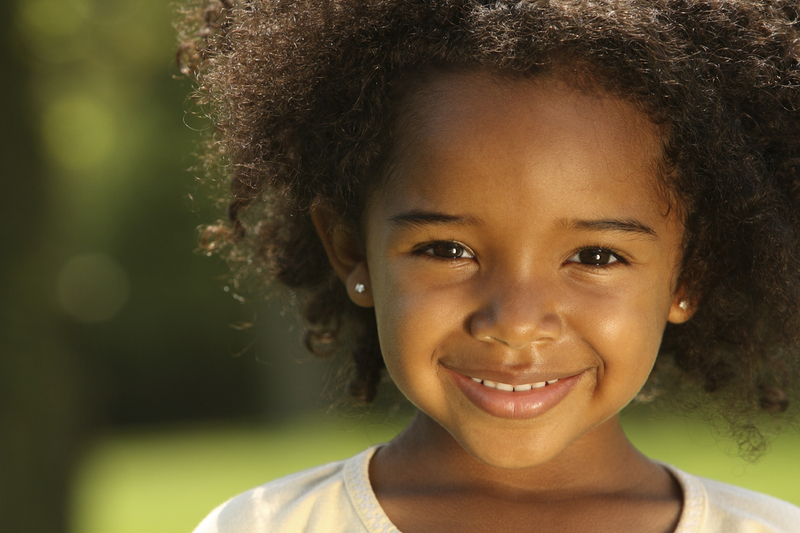 A frenectomy is a procedure that may benefit children and adults with speech, digestive, airway, periodontal (gum), orthodontic spacing issues and more. Dr. Jenny Nguyen has specialized training in frenectomies involving tethered oral tissues (TOTS), a collective term encompassing all frenum causing lip and tongue ties. The word frenum, or frenulum, describes the tough tissue that attaches any organ to its neighboring tissue to restrict its motion—for example, the thick band of tissue that attaches the underside of the tongue to the floor of the mouth. It is like a tether to limit movement. There several frenums in the human body but only a few that commonly require frenectomy,, and they are all inside the mouth. Common frenectomies involve the tongue and upper lip. In some cases, the frenum is too short, tight or tough and basically does its job too well. The inhibited movement causes difficulty with regular tasks like eating and talking or causes gaps in the smile. 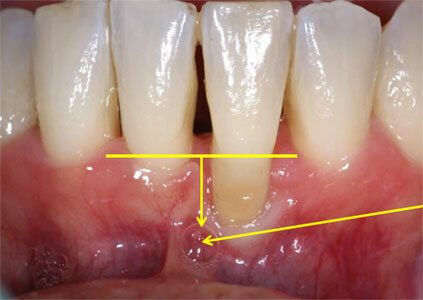 The frenectomy is the simple procedure by which the frenum is severed and typically removed to free up more movement. It’s a low-risk, outpatient procedure that is usually successful the first time in solving the targeted problem. 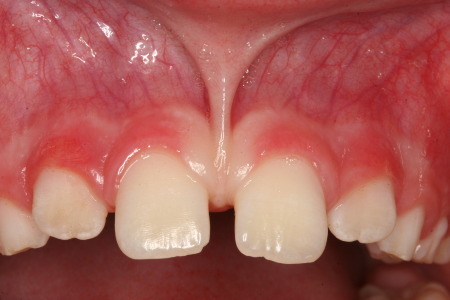 A labial frenectomy most often involves the frenum attaching the upper lip to the upper jaw, usually in children as their teeth and gums develop. The problem of the upper labial frenum is primarily one of esthetics but is not always so. If the frenum is too short or tight, there are a few common issues. The ligament tissue can extend toward the two upper front teeth and cause a diastema or gap in the teeth sometimes making orthodontic work to close the gap more difficult. It can also create an “open mouth posture,” by limiting the movement of the lip and preventing the mouth from properly sealing. This leads to open mouth breathing which in children impairs the development of nose breathing and by extension proper airway and jaw development. It can also cause gum recession. Removing an upper lip frenum may also improve an infant’s ability to nurse or bottle-feed. Please seek evaluation from your child’s healthcare provider and lactation consultant to evaluate whether or not your child would benefit from this procedure. The lingual frenum is the tight tissue underneath the tongue that tethers the tongue in its resting position. In most people, there’s sufficient flexibility that the tongue can move around and perform its functions for speaking and eating. If it’s too tight or short, it restrains the tongue too low. This is commonly referred to as being “tongue-tied.” If the tongue is held too low, in young children it may hinder correct growth of the jaw and cause long-term orthodontic problems and possibly airway issues. Second, it can keep the tongue from pressing properly against the upper palate during swallowing, pressing it instead between the teeth and preventing the bite from closing all the way over time. Finally, being tongue-tied is a common culprit for lisping. Babies may have trouble nursing or bottle-feeding due to a tongue-tie and/or upper lip-tie. Please see your child’s healthcare provider and lactation consultant for proper evaluation and referral to our office, if necessary, for this treatment. The lower lip frenectomy is done for similar reasons as the upper lip, generally to stop periodontal problems and gum recession. But it is also performed in older adults who are being fitted for dentures. When the lips move, the frenum can pull the dentures loose, leading to improper fit. A frenectomy can be done with scissors, a scalpel or a laser. We use a carbon dioxide (CO2) laser (pictured below) in our office. 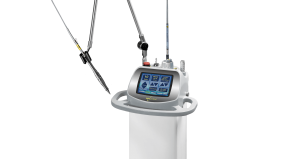 It has many advantages including greater efficiency and eliminating the need for sutures or stitches. The area is numbed with topical anesthetic and/or local anesthetic. 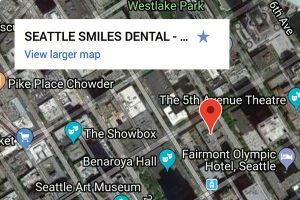 The benefits of a frenectomy can be immediate, and the procedure itself just takes a few minutes. After the procedure, directions will be given to properly care and cleanse the area. Stretching exercises may also be recommended. In the case of nursing infants, follow-up with your child’s healthcare providers or therapists is highly recommended. Please call us to schedule a consultation if you have questions regarding frenectomies and whether this would be an appropriate service for you or your child.